The Bronx, Brooklyn, and Staten Island have seen decreases of about 60 percent. 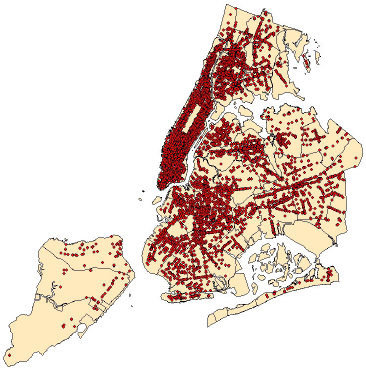 The number of payphones has fallen 33 percent in Manhattan and 52 percent in Queens. The city collects 10 percent of revenue from calls placed from payphones and 36 percent of revenue from advertisements on the payphones. 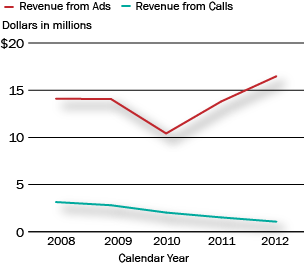 City revenue from calls has declined steadily since 2008. City revenue from advertising has increased sharply since 2010. Previous PostHow Has the Recent Decline in the Number of Children in Foster Care Affected Costs?Next PostDid the Number of Municipal Employees Decrease Under the Bloomberg Administration?